James Valenti - Rocktopia – On Tour This Spring! 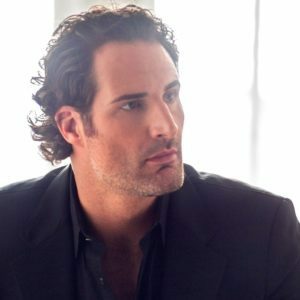 Internationally acclaimed Tenor James Valenti has built a global reputation for his elegant musicianship, commanding stage presence, ardent style, and voice of warm Italianate lustre. The sought-after 6’5” tenor made his professional debut at age 25 at the Teatro dell’Opera di Roma as Rodolfo in the Franco Zeffirelli production of La Bohême. He has gone on to perform at the most celebrated theatres and opera houses in the world, including Teatro alla Scala Milan, Metropolitan Opera, Teatro Colón Buenos Aires, Royal Opera House London, Opéra National de Paris Bastille, Sydney Opera House, St. Petersburg Russia, Münich Bayerische Staatsoper, Lyric Opera of Chicago, San Francisco Opera, Salzburg Festival, Seoul South Korea, Tokyo Japan, and Opernhaus Zürich opposite stars like Angela Gheorghiu, Thomas Hampson, Dmitri Hvorostovsky, Leo Nucci and with Maestros Antonio Pappano, Gustavo Dudamel, Carlo Rizzi, and many more. He has showcased his vocal ability and acting versatility in a variety of roles, including Don José in Carmen, Don Carlo in Don Carlo, Cavaradossi in Tosca, Alfredo Germont in La Traviata, Duke of Mantua in Rigoletto, Lt. Pinkerton in Madama Butterfly, Maurizio in Adriana Lecouvreur, Edgardo in Lucia di Lammermoor, Werther in Werther, Roméo in Roméo et Juliette, the title role in Faust, and Rudolph Valentino in The Dream of Valentino, where he also got to flaunt his Tango dancing skills. Recent highlights include a concert at Carnegie Hall, concerts in Budapest Hungary, Zimbabwe Africa, St Barth’s, Lake Como Cernobbio Italy, Baden-Baden Germany with Anna Netrebko, La Bohème in Hong Kong, Tosca for the rebirth of New York City Opera and for the Detroit Symphony, Madama Butterfly at The Met and in Poland, Carmen in Kuala Lumpur Malaysia, and Hamburg Germany as the title role in Roméo et Juliette with Opera Birmingham.